Most of the Young Adult Missionaries are women ages 18-35 who work along with the Senior Missionaries in areas they are needed. They also participate in serving the mission of the church by laboring in many areas that include tarrying services and other functions. They visit the sick, the shut-in, the distressed, the aged (old people), poor, prisons. They also have specific functions that are assigned to them. 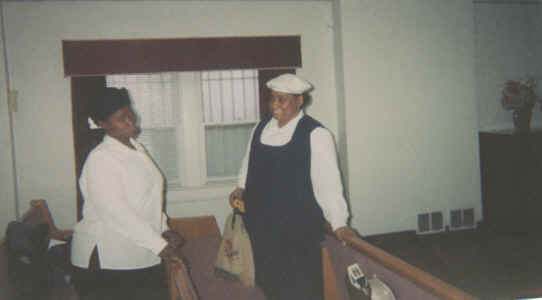 Young Adult Missionary, Sister Cheritha Smith (left), share a moment of laughter with a Sister from the Whole Truth Church of the Lord Jesus Christ. E - Eager to help those who call upon us. R - Rendering our service with humble sincerity. V - Valiant, endeavoring with love and obedience to surrender our lives in helping others. I - I will work for the glory of God. N - Never will I draw back. 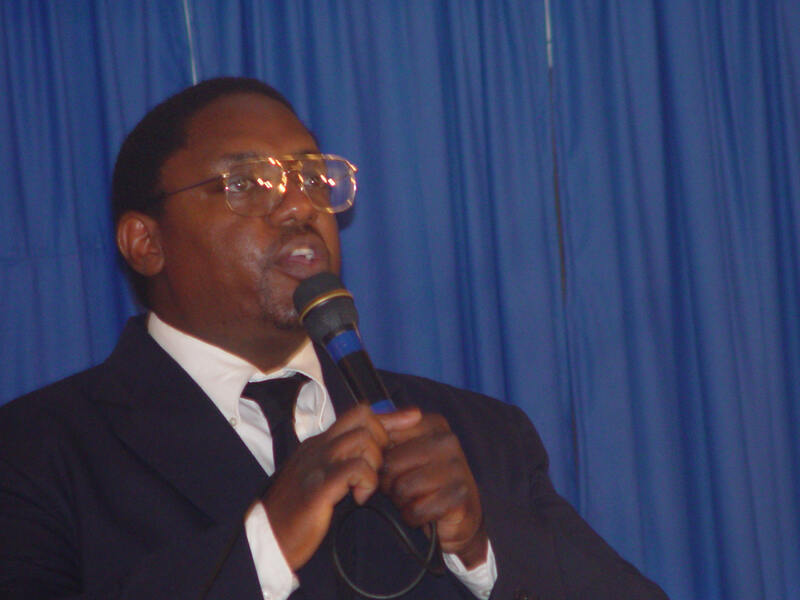 G - Going forth in the name of Jesus until the victory is won. T - To the fullest extent of my ability. H - Holding up the banner of truth. E - Enduring hardships as a good soldier of the cross. R - Ready with a helping hand to bring joy and comfort where it's needed. S - Showing forth the spirit of Christ our soon coming King who will reward our labor.